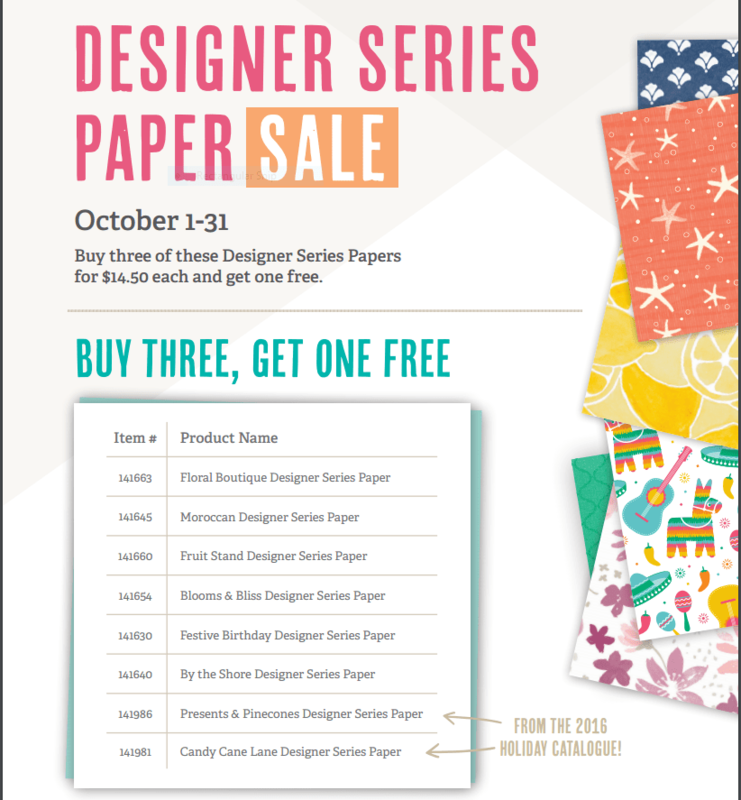 I’m so excited about the Designer Series Paper Sale that’s on this month, that I really want you to take advantage of it! These deals only happen once a year, and stocking up on DSP when you know you’ll use it is the best reason to splurge a bit now, while you’re getting a good deal. 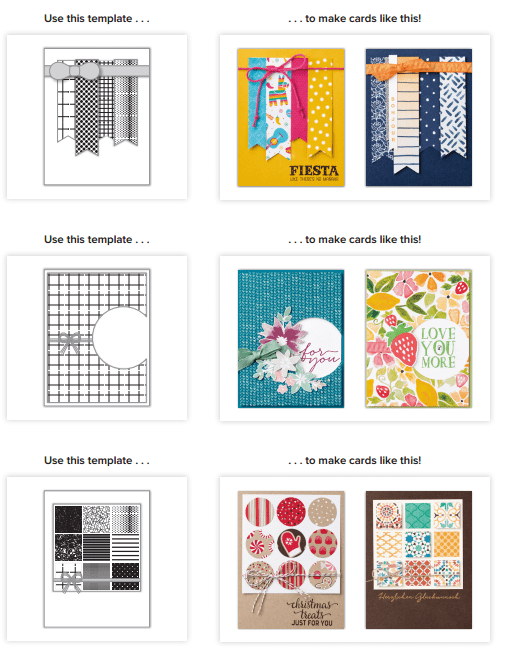 These are some of the most popular, best selling designs from the Annual catalogue – and the fact that there’s 2 packs from the Holiday catalogue is a super-wow! I’m using these for my craft fair projects – and they’re fabulous if you’re looking for a really special wrapping paper for a really special gift! This card came together so quickly, I couldn’t believe it! I started with a card base of Crumb Cake cardstock, measuring 4 1/4″ x 11″, scored at 5 1/2″. This gives you a nice ‘tall’ card base to work with. I stamped the sentiment from the Greetings from Santa stamp set across the bottom right corner in Soft Suede ink. I cut the 4 banners from the Candy Cane Lane DSP; the 2 red base strips are 3/4″ x 4″ and the others are 1″ x 4 1/2″; I used my paper snips to cut banner tails on one end of each strip. To attach them to the card base, I applied some Tombow liquid glue just to the top of the DSP strips, and layered them, slightly overlapping the strips. 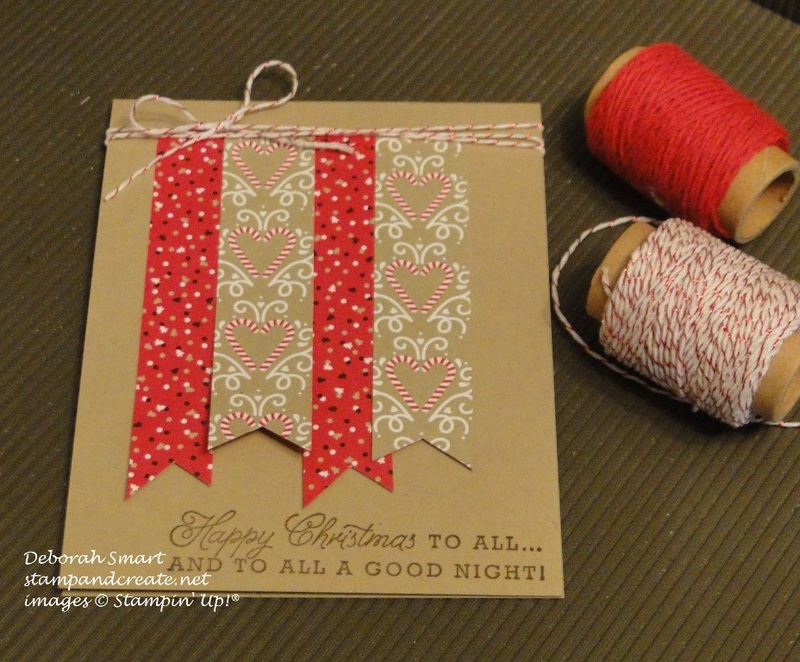 I then used the Candy Cane Baker’s Twine (I used the white with glimmer red) and wrapped it several times around the top of the card base, over the top of the DSP strips, and then tied it off in a bow. Talk about quick & easy! You could make multiples of this card for sending in no time! I wanted to stay true to the sketch, so I didn’t add or change anything on my card. But if you wanted, you could add an extra layer, or emboss the card front. You could also add a couple of the super cute Jingle Bells (pg. 29 of the Holiday catty) to your Baker’s Twine. To order the Designer Series Paper, you can click on the images below, and you’ll be taken directly to my online store. If you’d rather have me order for you, just send me an email or give me a call, and I’ll take care of it!